Our camp is committed to offering highly specialized classes tailored to the expertise of our faculty. 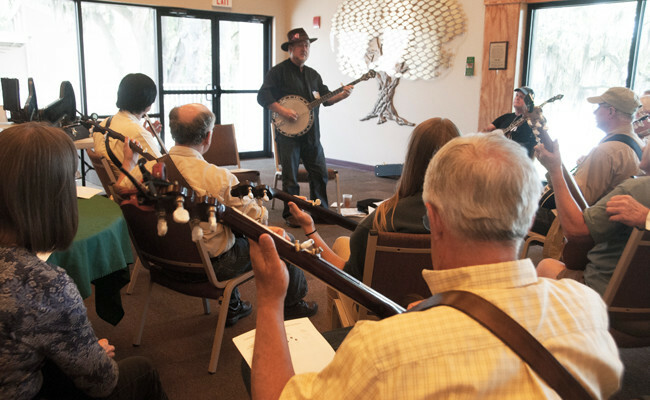 Almost all of our classes are “hands-on,” meaning that instructors have a set of skills or a tune or two in mind to teach, and that students should have their instruments in hand during class. To give you a better idea of what we’re about, this was our 2019 Schedule. Note: Once you’ve registered for camp, you have complete freedom to attend any class that you wish. You do not have to sign up in advance or make any special arrangements to attend the classes of your choice. You do not have to stick to any particular genre, track, or level, but are free to make class selections as you please. 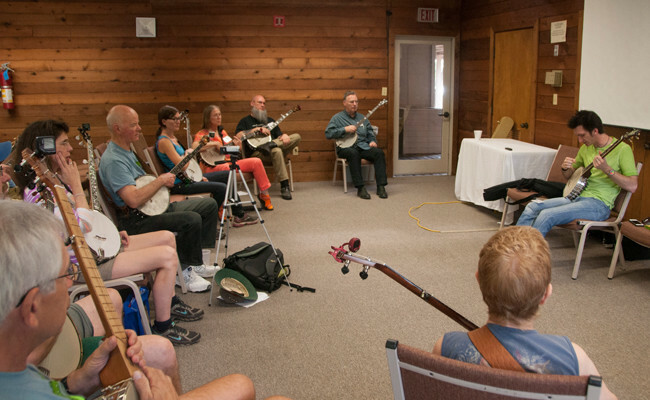 SBC now offers nine class sessions over the course of the weekend — three on Friday, four on Saturday and two on Sunday. All class sessions are one hour and fifteen minutes long. 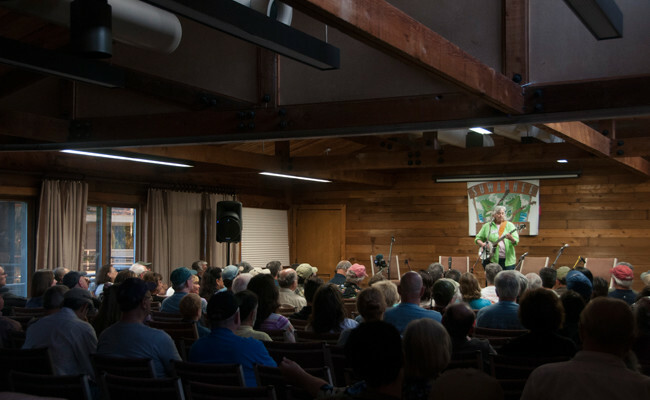 Orientation takes place on Thursday evening prior to the start of the evening program. We have two faculty concerts at SBC — one on Friday and the other on Saturday evening. 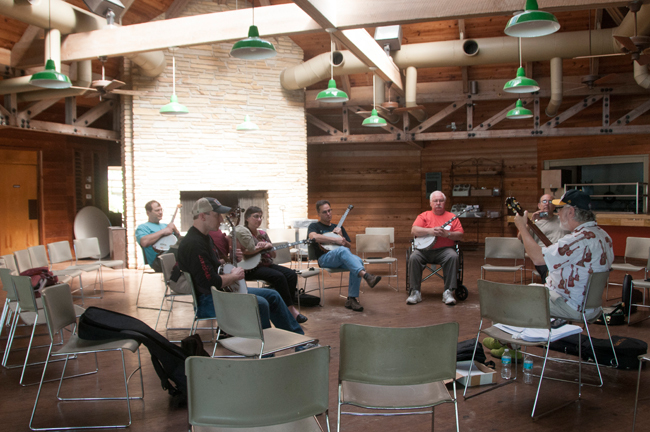 During the course of SBC you’ll have an opportunity to hear our entire staff in concert. With such an amazing concentration of talent, some people say that the concerts alone are worth the price of admission for the entire event! To get the idea of what to expect, here are some videos from past SBC Faculty Concerts. 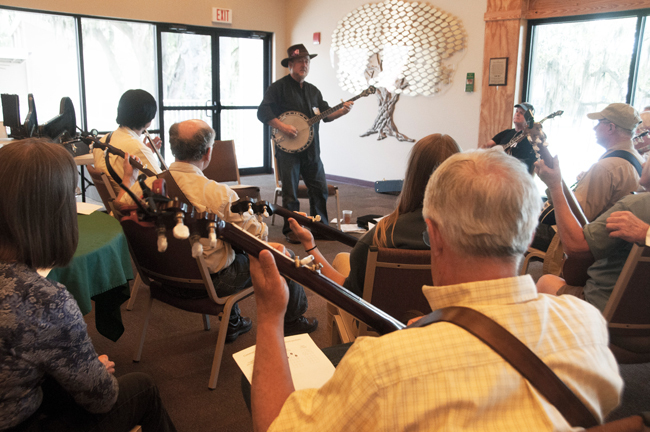 Staff-led jams at different levels are held following each faculty concert for bluegrass and old-time banjo. We also feature “vocal jams” for folks who like to sing. 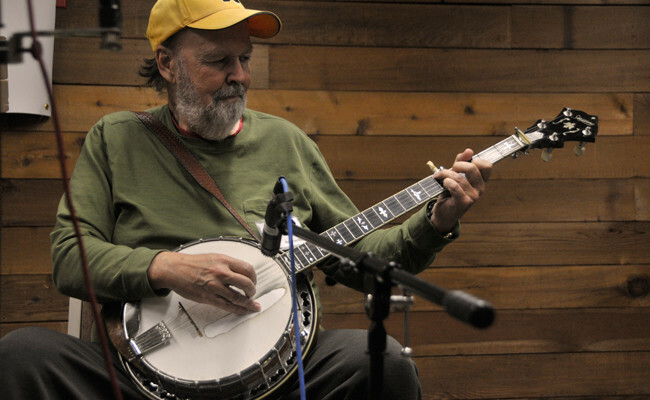 The novice track in old-time banjo is for students with well under a year’s playing experience. Recognizing that novices have unique learning requirements, we offer a systematic course of instruction that starts from scratch, and which is designed to impart both needed skills and effective practice-attitudes. 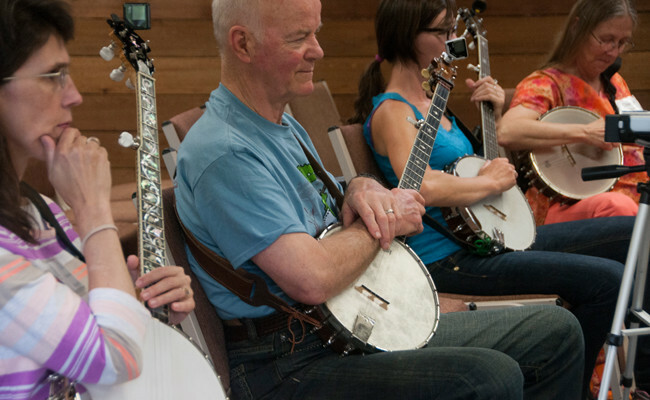 The lower intermediate track is for those players who are above the novice level but are still in the process of mastering basic techniques. The focus here is overwhelmingly on acquiring the skills you’ll need to grow as a player. Our best guess is that students who have been playing between nine months and two years will feel most comfortable here. This track is for students who have been playing at least two years. 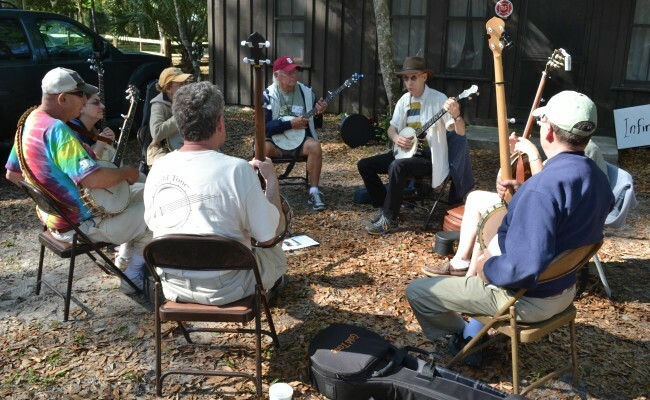 Classes in this track are not necessarily technically demanding, but they generally require that students have considerable familiarity with the instrument. These challenging classes give our instructors the opportunity to offer students the full depth of their expertise and experience. 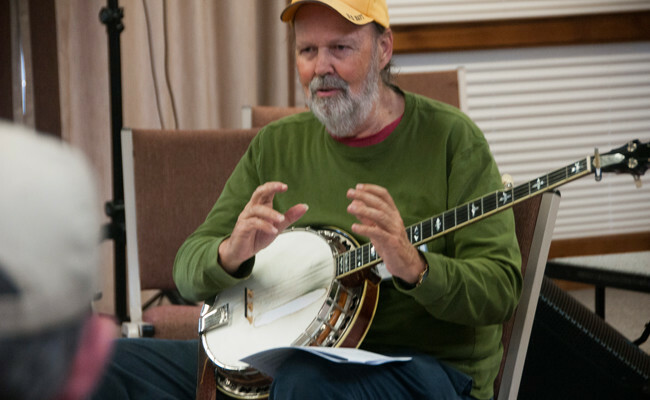 The novice track in bluegrass banjo is for students with well under a year’s playing experience. Recognizing that novices have unique learning requirements, we offer a systematic course of instruction that starts from scratch, and which is designed to impart both needed skills and effective practice-attitudes. The intermediate track is for those players who are above the novice level but are still in the process of mastering basic techniques. The focus here is overwhelmingly on acquiring the skills you’ll need to grow as a player. This track is for students who have been playing between nine months and two years. 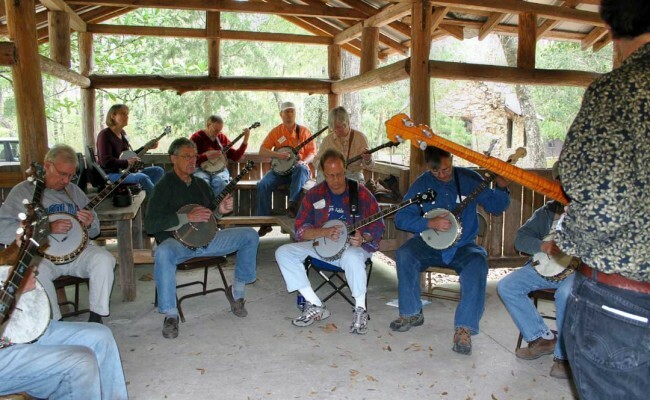 Although this is primarily a banjo camp, we offer a full time Appalachian-style fiddle track with considerable appeal to serious fiddlers. Pete Vigour is our primary fiddle instructor for 2019. 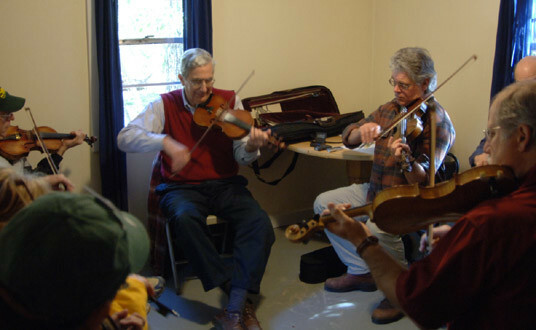 Some fiddle classes will also be taught by Paul Brown and Adam Hurt, both of whom are also expert old-time fiddlers. Level of Instruction: Because there is only a single fiddle track, instruction will almost certainly geared to an intermediate level. 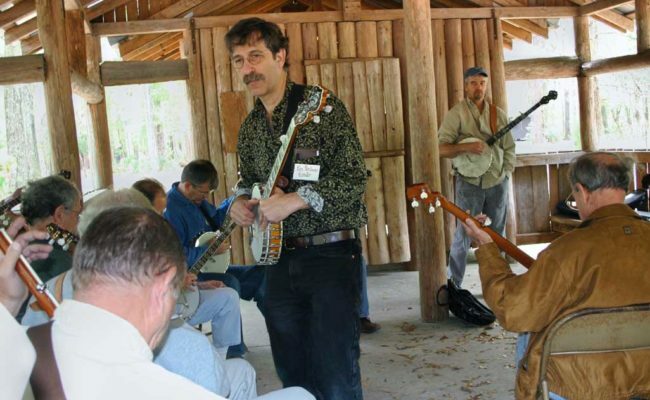 This is a good place for old-time fiddlers with at least a couple of year’s experience to burnish their skills and make their playing sound more authentic and professional. 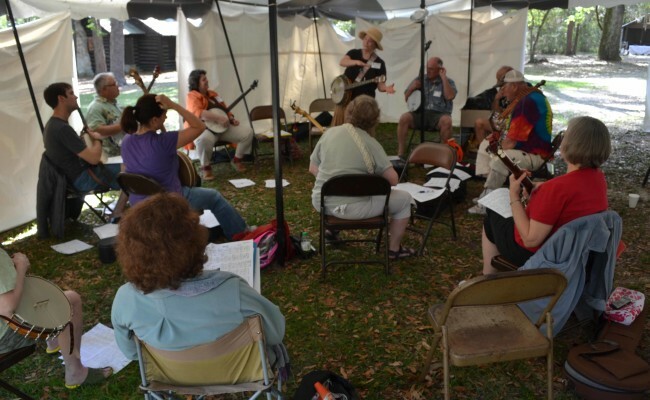 Classical violin players and fiddlers who play music from other traditions will find this program a good introduction to old-time fiddling. 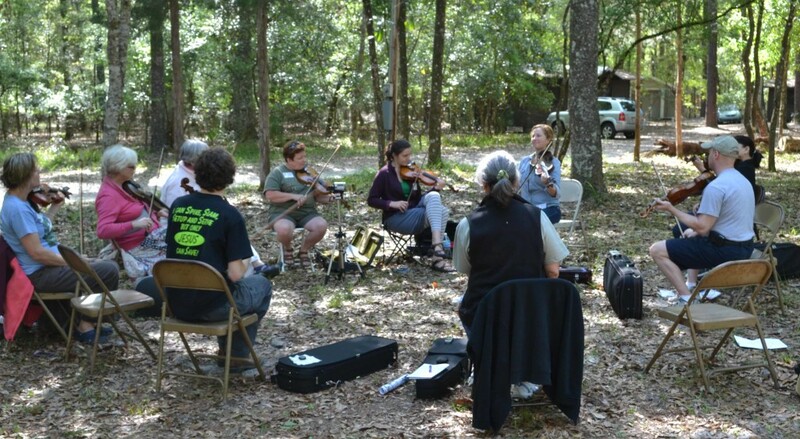 Note: We do NOT have a program that teaches basic violin skills; you probably need at least a year or two of experience on the instrument in order to take full advantage of our program. 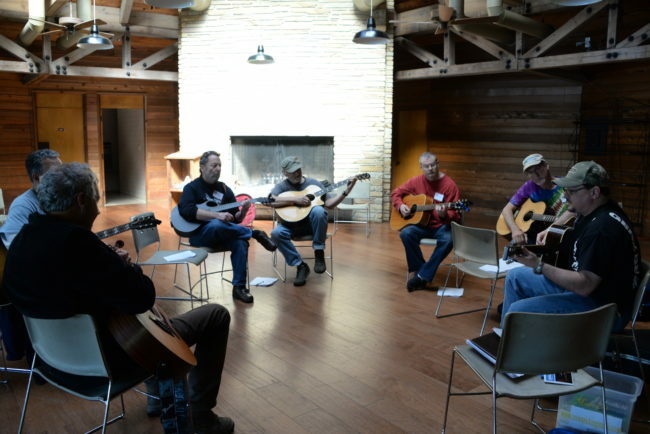 SBC has a full-time program in flatpick guitar. 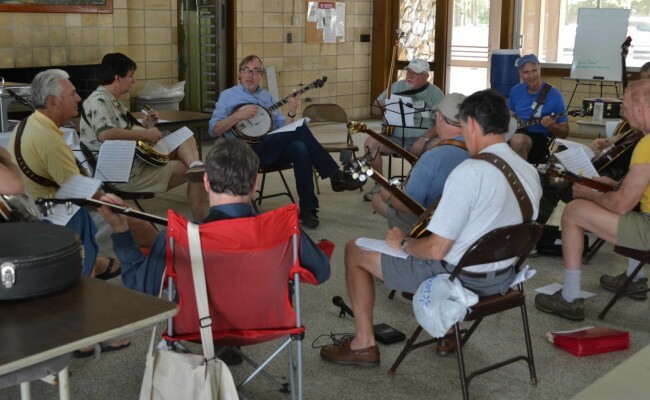 The focus is bluegrass accompaniment and soloing, but we generally also feature a couple of classes in other aspects of the instrument. 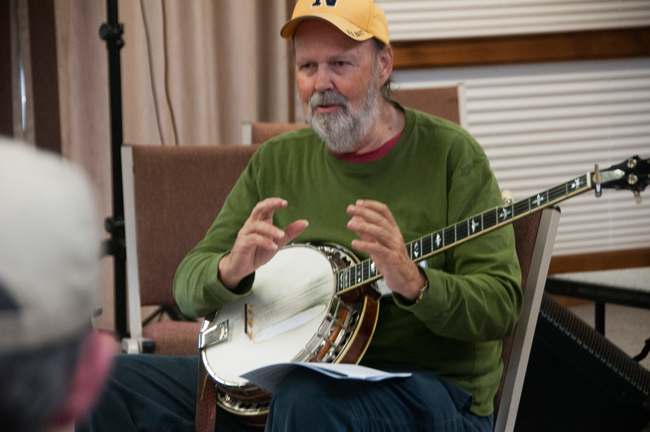 For 2019 we offer a class in jazz chords and progressions taught by Alan Munde, and a class in Carter-family songs and picking styles, taught by Joe Newberry. Level of instruction: Because there is only a single guitar track, instruction will almost certainly geared to an intermediate level. Students should probably have at least one year of playing experience. In practical terms, this means that you should be able to handle a flat pick and change relatively comfortably among the most common basic guitar chords. Note: The SBC Guitar Track is NOT for total beginners. We always feature a number of classes that don’t fit into our regular tracks. 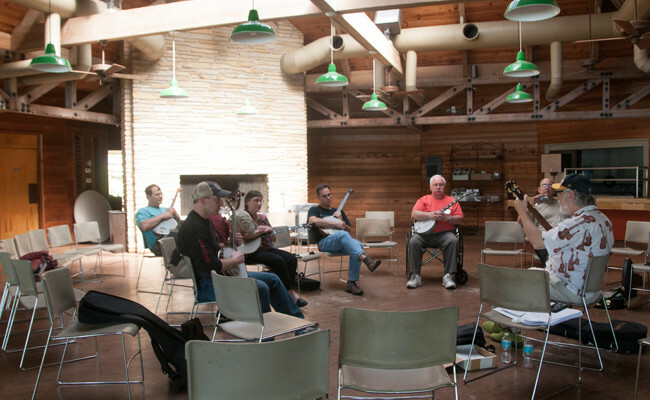 As of our first schedule posting in December, our special class offerings feature ukulele, singing, bass, and banjo set-up. The number of special offerings on the schedule usually increases as we get closer to the beginning of Camp.